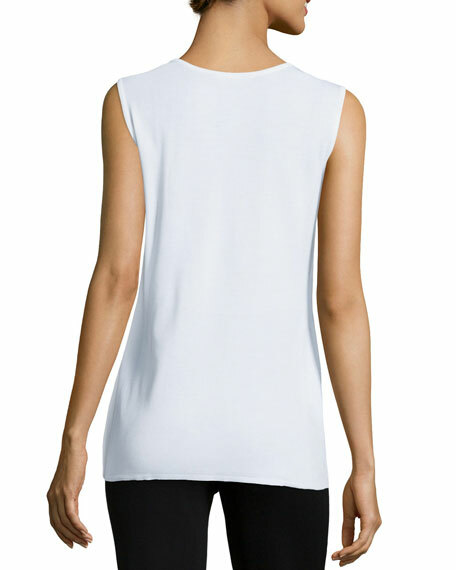 Misook soft, wrinkle-resistant knit tank, perfect for layering. Approx. 26"L back; 22"L center front. For in-store inquiries, use sku #1519884.